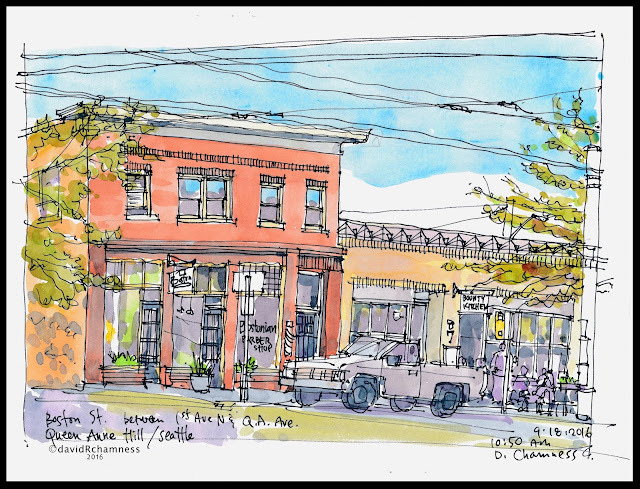 Urban Sketchers Seattle: Queen Anne and Aurora Avenue N.
Queen Anne and Aurora Avenue N.
The weather turned from yesterday's rain into a beautiful sunny Sunday in Seattle. The resident's of Queen Anne were out in force at the many eatery's this Sunday morning. I walked down to Boston Street and captured the scene of the Boston Barber Shop and the Bounty Kitchen. This is one of the older commercial blocks off of Queen Anne Avenue that hasn't changed much in many years. 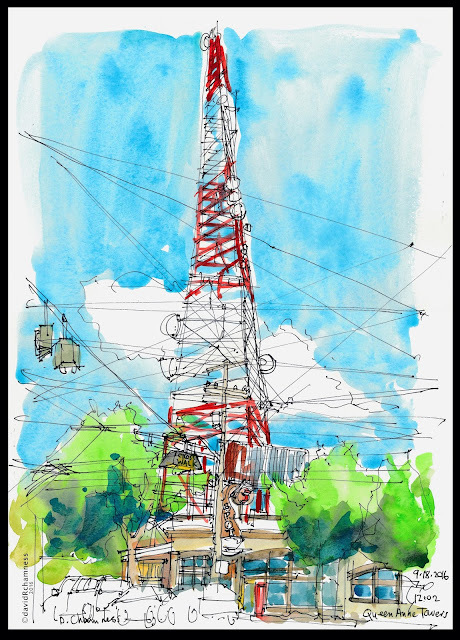 Next I wanted to sketch one of the television towers that grace the top of the hill. The bonus was that I also was able to draw the 5-Spot Cafe too. 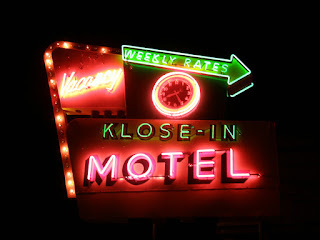 After the meet up, I headed home and noticed that the Klose-In Motel had closed down and it looked like the site was going to be redeveloped. 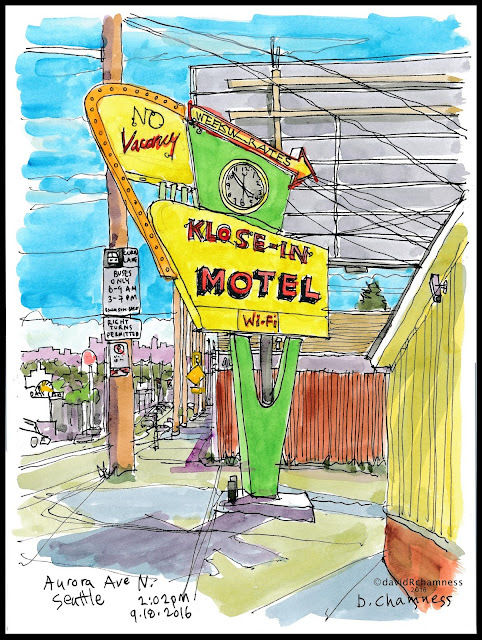 Over the years I have loved the neon covered sign and had wanted to sketch it. I decided that this might be one of the last opportunities. Many of the older motels along Aurora Avenue have closed and their classic signs have disappeared. Here is what the sign looks like at night when it was open. Wonderful sketches, David! The 5 Spot was going to be my subject if I'd gone but I didn't realize you could see a tower behind it! I've only driving by and not really studied the location. That's great!